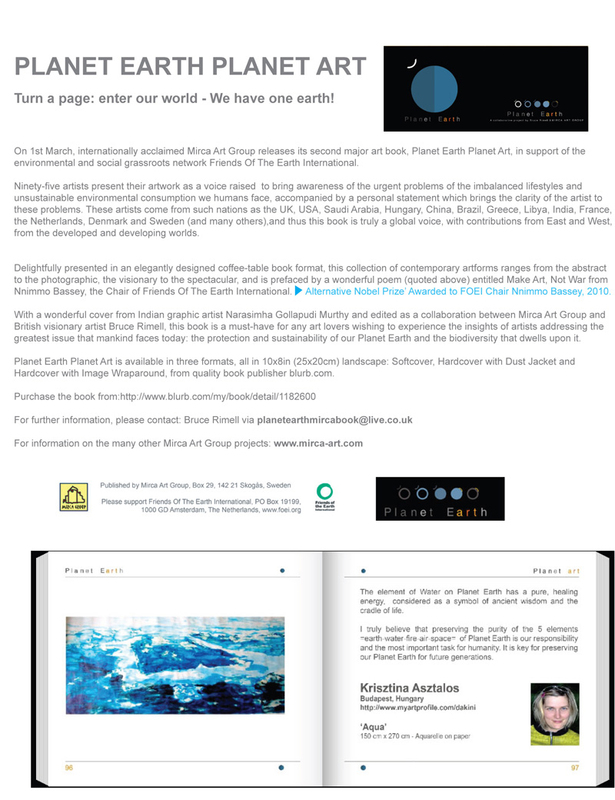 Krisztina Asztalos participated in Planet Earth Planet Art Book by Mirca Art Group published in 2011 with a large artwork of Aqua series 150 x 302 cm ink on paper, that was also exhibited in New York, USA in Skylight galleryNYC in 2012. Right now the painting is in NewYork, USA. 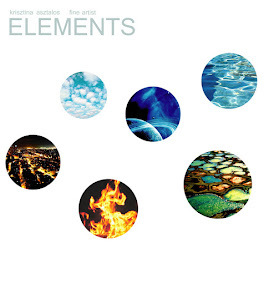 Ninety-five artists present their artwork as a voice raised to bring awareness of the urgent problems of the imbalanced lifestyles and unsustainable environmental consumption we humans face, accompanied by a personal statement which brings the clarity of the artist to these problems. 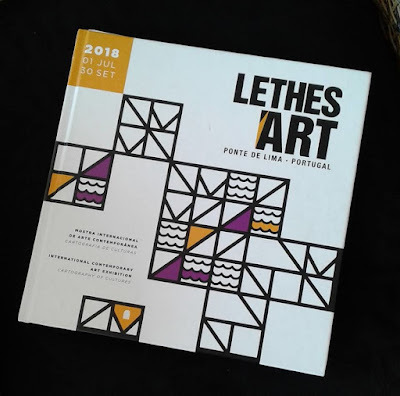 These artists come from such nations as the UK, USA, Saudi Arabia, Hungary, China, Brazil, Greece, Libya, India, France, the Netherlands, Denmark and Sweden (and many others), and thus this book is truly a global voice, with contributions from East and West, from the developed and developing worlds. Delightfully presented in an elegantly designed coffee-table book format, this collection of contemporary artforms ranges from the abstract to the photographic, the visionary to the spectacular, and is prefaced by a wonderful poem (quoted above) entitled Make Art, Not War from Nnimmo Bassey, the Chair of Friends Of The Earth International. With a wonderful cover from Indian graphic artist Narasimha Gollapudi Murthy and edited as a collaboration between Mirca Art Group and British visionary artist Bruce Rimell, this book is a must-have for any art lovers wishing to experience the insights of artists addressing the greatest issue that mankind faces today: the protection and sustainability of our Planet Earth and the biodiversity that dwells upon it. 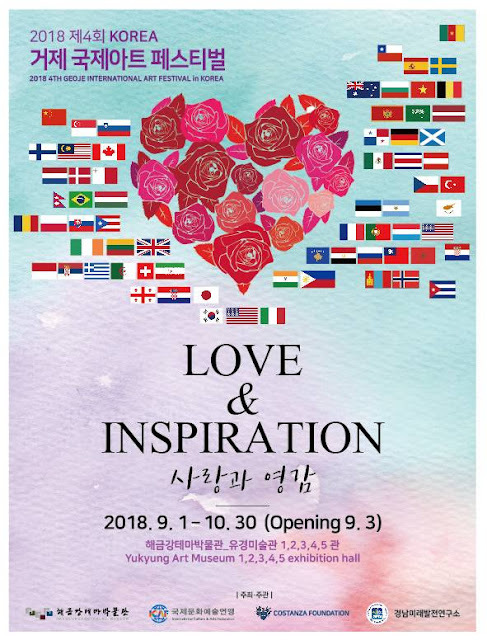 4° International Art Festival - South Korea - 2018.9.1. - 10.30. - Opening 9.3.